Getting the best longevity and performance out of your vehicle’s tyres is largely achieved through regular checks and maintenance by both yourself and the professionals at your nearest BestDrive. 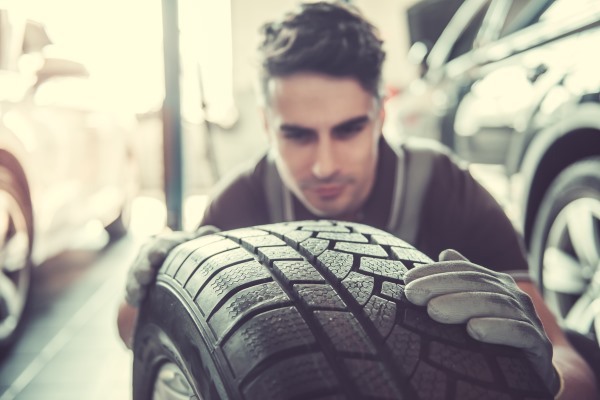 You should engage in monthly visual inspections of your tyres, including checking for correct inflation, even tread wear and searching for any signs of damage. Visual signs of damage may include perforations caused by objects such as stones or nails, as well as cuts, tears and bulges that may be the result of contact with road hazards. As the tyres on your vehicle age, the need for more regular inspections increases. Tyre Pressure - checking and adjusting tyre pressure can be done by either yourself or the professionals at BestDrive. It is imperative that the manufacturer’s recommended inflation pressures are maintained to ensure vehicle safety and performance, as well as tyre longevity. Tread Wear - tread depth is a legal requirement that is essential for safe braking and effective water dispersion. Check your tyres for wear and always replace them when they reach 1.6mm of remaining tread depth. Wheel Alignment - your vehicle handles best when the wheels are correctly aligned. Misalignment of your tyres can cause irregular tyre wear and compromise safety. the moving, or rotating the tyres position on your vehicle in a systematic way to achieve as even a wear as possible. If you would like assistance assessing the condition of your tyres, are unsure about the next step following a concerning observation of your tyres or simply require a thorough inspection - the professionals at your nearest BestDrive are the answer for you. The qualified technicians at BestDrive can assess both the external and internal condition of your vehicle’s tyres. This ensures that any tyre repairs or replacements are best anticipated and handled appropriately.